Bentley University’s Mini-MBA for BioPharma professionals combines Bentley’s leading-edge business curriculum with the research-based expertise of Bentley’s Center for Integration of Science & Industry , to deliver a truly unique and tailored educational experience for BioPharma professionals. Understand the business landscape of the Biotechnology/ Pharmaceutical industries and how application of fundamental business principles work within these constructs. Comprehend the challenges of commercialization and recognize how regulation and policy can work for your business. The program has been designed to accommodate the schedule of extremely busy managers and executives. Who Should Attend the Mini – MBA™ for BioPharma Professionals? Technical professionals and Scientists moving into management positions who need exposure to business concepts, and leadership disciplines. High- potential business managers facing greater management responsibility which calls for enhanced business knowledge. Professionals new to the biotechnology /pharmaceutical industries who need a solid grounding in the unique aspects of the business. Intended to provide a solid overview of graduate level business subjects, the Mini-MBATM is led by top graduate faculty instructors who also have industry experience. Professor Fred Ledley is a physician by training, and his professional career has taken him from basic research in molecular biology, to founding and executive roles in several biotechnology companies, and now to Bentley. Along the way, he has published more than 150 papers in the academic literature and received ten US patents. His research builds on this experience in asking whether recent scientific discoveries are being effectively translated into public value, and how this process might be accelerated. Jill Brown PhD Strategic Management University of Georgia) is an associate professor of Management at Bentley University. Prior to her position in academe, she worked as a Commercial lender for several financial institutions, including BNY Mellon and First Fidelity Bank in Philadelphia, PA. She is also an executive with a family-owned manufacturing business. Professor Brown’s research, teaching and consulting interests include ethics, corporate social responsibility, corporate governance and strategic leadership facilitation. 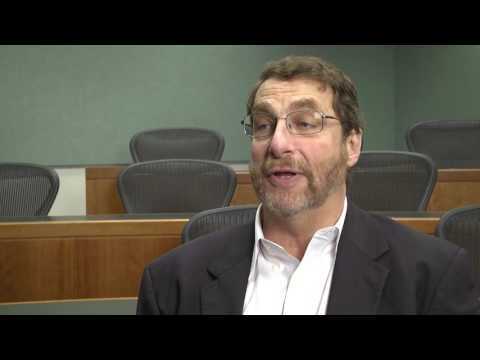 Steven Wasserman (MBA Babson College) is a lecturer in the Finance Department at Bentley University with over 30 years of experience managing corporate finance, accounting, financial planning and analysis, investor relations, legal, and human resources. He has worked in both public and private corporations and has significant Wall Street experience raising equity capital, raising debt capital, transacting mergers and acquisitions, and managing relationships with investors, investment bankers, rating agencies, and commercial banks. Steve has previously served as CFO for technology-focused companies including InfoBionic, Inc; AppNeta, Inc.; Memento, Inc.; Constant Contact, Inc. (NASDAQ:CTCT); Med-i-Bank Inc.; and ON Technology Corporation (NASDAQ:ONTC). Jim Pouliopoulos is a full time Lecturer at Bentley University, teaching a wide variety of courses covering topics including strategic marketing, business planning, market research, new product development, high-tech product marketing and more. Outside of the classroom, Jim has served as aa consultant and a business coach with over 25 years of experience in a variety of industries including high-tech, medical, government and professional services. Jim has contributed to the success of large companies including General Electric and IBM as well as a number of successful small businesses as a marketing consultant, product manager, director of marketing and sales, spokesperson, public speaker, trainer, facilitator, market researcher and engineer. Mini – MBA™ for BioPharma Professionals can be delivered at your company location for a group in a timeframe that fits your schedule – either consolidated in a five day format or distributed over several weeks if desired with projects incorporated between sessions. Content, cases and activities can be tailored to reflect your business environment and industry. Contact Debra Kennedy, Director of Education at 781-891-2473 or dkennedy@bentley.edu to discuss the possibilities. Bentley University is uniquely positioned to deliver a specialized management program to Biotechnology and Pharmaceutical professionals, as we draw from the expertise of both our leading graduate business school faculty and the faculty/partners of our renowned Center for Integration for Science & Industry. Participants in this program will benefit from an interactive learning experience that marries deep industry expertise with the proven business practices of a Top-Rated business institution.